Daily Illuminator: Factory Pics Of The Fantasy Trip! January 7, 2019: Factory Pics Of The Fantasy Trip! I'm in Hong Kong at the moment, visiting factories and checking on several projects, including the final assembly of The Fantasy Trip Legacy Edition that is set to ship from China later this month. We are happy to report that the game looks incredible and everything is on schedule! 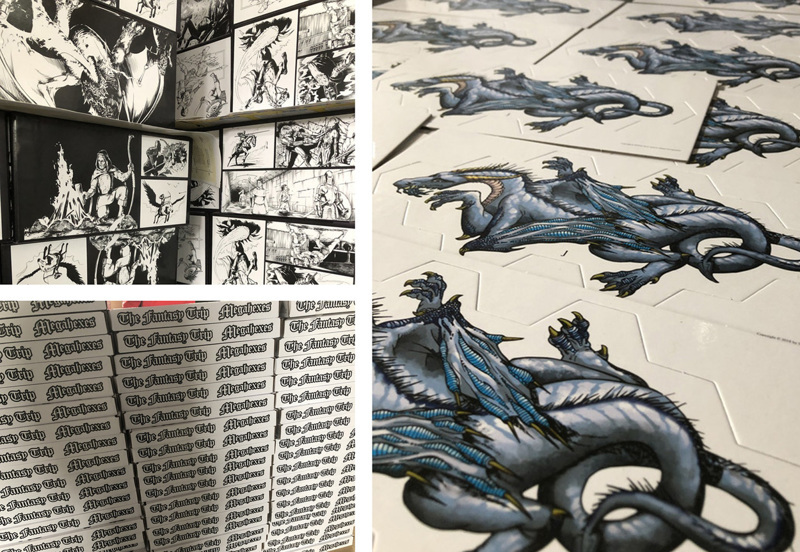 Be sure to visit this Legacy Edition update on Kickstarter for more pics of the game, and swing by your favorite local game store and preorder your copy of the Legacy Edition box today. In other TFT news, the Adventures project on Kickstarter continues to grow in support and has unlocked several stretch goals. The project closes in one week. In addition to the new Adventures printed book, we're also offering the Legacy Edition, the very limited I Want It All box, the new Melee & Wizard Pocket Box game, and much more! Please check out the project and join in today. This is just the start of our plans for The Fantasy Trip in 2019, and you won't want to miss the ride as we bring this classic roleplaying game back to tables across the world.